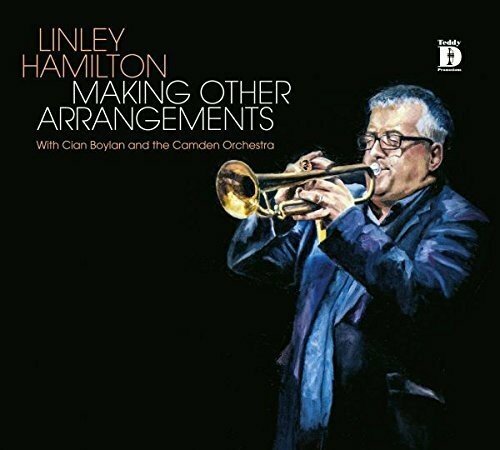 The trumpeter Linley Hamilton been an important figure within jazz in Ireland and the UK for many years. As a musician he is at the top of the list when it comes to looking for a horn player for a recording or live performance. He has appeared on records by Paul Brady, Jacqui Dankworth and Foy Vance to name a few. Now he has brought forward possibly the finest jazz album recorded in Ireland for decades. 'Making Other Arrangements' is a unique collaboration between Hamilton, the musician/leader and Cian Boylan, the producer/arranger. It is a collection of compositions from the likes of Dizzy Gillespie, Abdullah Ibrahim, Freddie Hubbard, James Taylor and Michel Legrand. It features a full string ensemble, woodwind and rhythm section. The result is a masterful album with wonderful individual performances created with cascades of sounds that will captivate and delight the listener. For this project Hamilton and Boylan pulled together some of the leading voices in Irish and UK jazz including Nigel Clark (UK) on guitar, Ben Castle (UK) and Brendan Doyle (IE) on saxophone, Dana Masters (USA) on vocals, Dave Redmond (IE) on bass and Guy Rickarby (UK) on drums. The Cian Boylan Trio features Julien Calarossi on guitar and Dave Redmond on double bass. 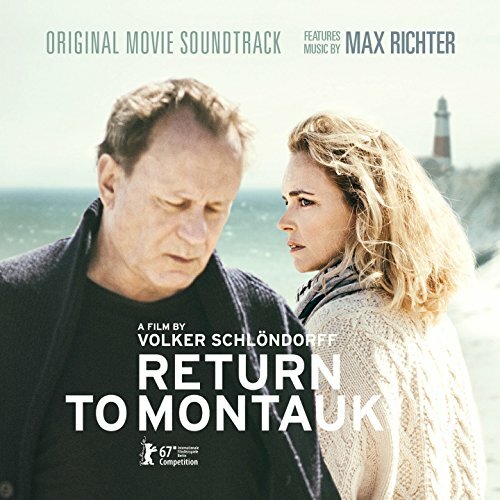 This EP features additional tracks commissioned for the feature film "Return To Montauk" co-written by Colm Toibín ("Brooklyn" - Oscar nominated) and co-written and directed by Volker Schlöndorff ("The Tin Drum" - Oscar Winner - Best Foreign Language Film). “Toot Sweet and the Shadow Man” was a result of Cian's lifelong passion with the music of New Orleans since first hearing the likes of Professor Longhair and Dr. John. The idea was to bring a taste of bayou funk home to Europe, with original music and arrangements of existing material that would invoke the music of some of the greats of The Big Easy, including Dr. John, Rebirth Brass Band, Dirty Dozen Brass Band and many others. Making up the core of the band are the amazing Cote Calmet (drums), the legendary Conor Brady (guitar), the spectacular vocalist Cormac Kenevey (percussion and vocals), with Dan Bodwell holding down down the groove (double bass), and Cian (piano, hammond organ and vocals). All of these musicians are recording artists in their own right and together create an energy and excitement that is infectious. The horn section boasts players of the highest rate, bringing the excitement and fire to the front line. Featuring Brendan Doyle (baritone and alto sax), Karl Ronan (trombone),and Mark Adams (trumpet) and blistering horn arrangements by Cian. The band share a deep understanding for the music, and a collective empathy for the groove having held duties in many world class line-ups together, including Van Morrison, Kurt Elling, Jerry Fish and the Mudbug Club, Imelda May, Toots and the Maytals, The Commitments, Terence Trent D’Arby, John Schofield, and Sister Sledge. A sensational live outfit, with swampy hammond grooves and rolling piano licks, deep-in-the-pocket guitar, a take-no-prisoners horn section, and an enviable rhythm section, Toot Sweet’s focus is on spreading this music to the masses. Innovation is an idea that jazz holds dear to its heart. Lester Young flirted it with it, Charlie Parker boldly grasped it and John Coltrane embodied the very essence of it. Every jazz musician, to greater or lesser extents, feels the weight of these masters, and of this ideal. Not only must we attempt to master the music laid down by these giants, we must boldly stride toward innovation also - building on what has gone before with new compositions that push the boundaries. We tried with this project to furrow a somewhat different path. Since jazz began, songs from stage and film were the improvising ‘fodder” of the jazz musician. We attempted to follow this somewhat old-fashioned ideal, and record some tunes which had resonated with us over the years but had rarely or never been recorded before in a jazz context. Movies proved a bountiful resource - Schindler’s List, From Russia With Love, I’m So Lonely, If I Only Had A Brain, Springtime For Hitler and Bullitt are all taken from well-know movies of the last forty years or so. Only two came from that more-trodden source for jazz musicians, musicals - namely One (from A Chorus Line) and Cool (from West Side Story). Innovation and intoxication all rolled up in one. Velvet Lounge Band was created to offer something interesting and of the highest quality for festivals, special events, and celebrations. Featuring Ireland’s top jazz vocalist, Cormac Kenevey and Cian on MD, arranger and piano duties, and a killer rhythm and horn section the band play timeless music ranging from Ray Charles to Michael Buble, and our own unique lounge style versions of contemporary artists such as The Strokes, Oasis, Moloko, and Radiohead. With sell-out shows in Ireland’s National Concert Hall to the world’s most famous jazz club Ronnie Scotts in London, numerous TV and radio appearances, and performances at jazz festivals around the world from Dubai to Mexico and Tokyo, the Velvet Lounge are Ireland's premiere band for all occasions! The drummer-less trio is somewhat of a rarity these days in jazz. Although once the norm with the likes of the Nat King Cole and Oscar Peterson trios, it lost popularity in the ‘50s and since then the drums and double bass have became the de facto members of the jazz trio, alongside either the piano or guitar. Since then, It has remained this way with few exceptions. While the format throws up a number of challenges both rhythmically and harmonically, it also offers a rich textural palette to work within that can be very rewarding to both player and listener. The BBE Trio evolved from an initial idea to get together as a unit and exchange ideas, but it quickly became apparent that the line-up was something they enjoyed immensely and an instant rapport developed within the trio. Their debut album was "Soulful Days" was released to critical acclaim in 2010. 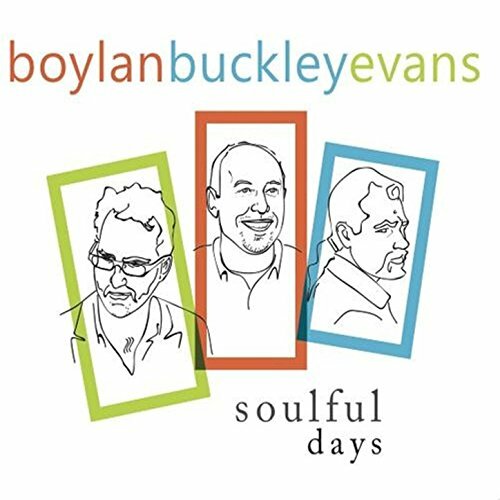 The Boylan | Buckley | Evans trio is a collective made up of pianist Cian Boylan, guitarist Hugh Buckley and bassist Damian Evans.